76 Carriage Company was founded over 40 years ago with a vision of providing the Philadelphia Region with superior tours and transportation services. 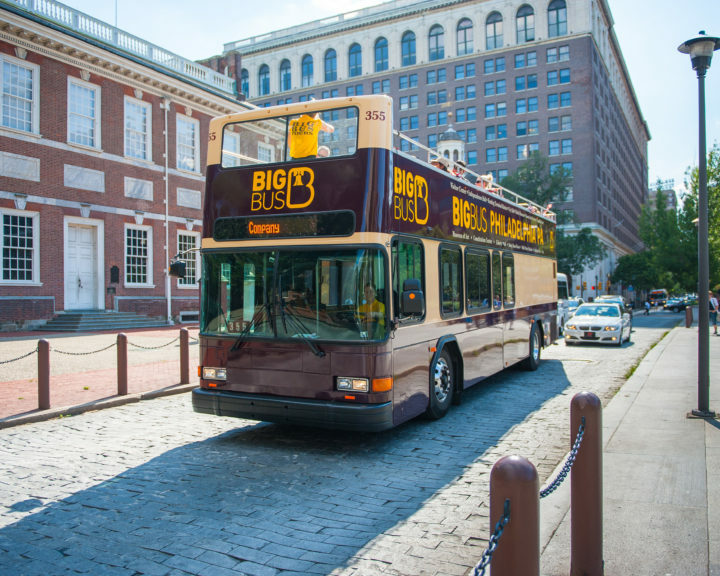 Today, 76 Carriage Company and its offspring, Philadelphia Trolley Works, The Big Bus Company, and Connective Tours is Philadelphia’s largest provider of Sightseeing Tours and Specialty Transportation. PTW/BB has grown to become extremely diverse tour operators and transportation specialist. The corporate office is located just south of University City on an 11 acre complex, which includes a 4 acre lot housing a fleet of over 70 vehicles. A 60,000 square foot office accommodates the sales, dispatch, maintenance, and accounting teams. 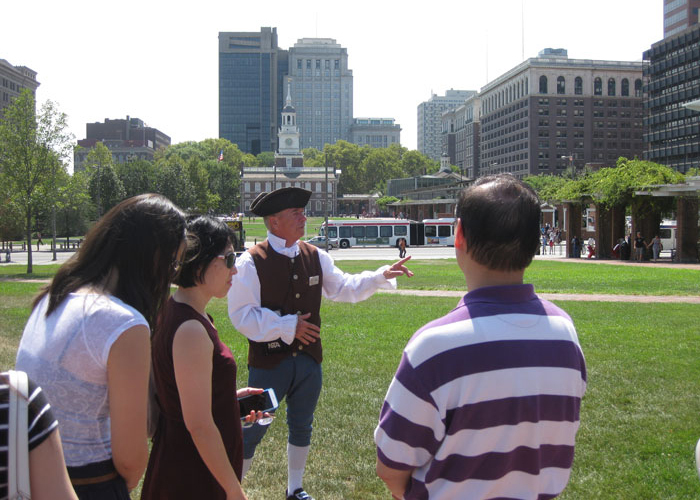 For information on our tour schedules, the best way to see Philadelphia’s attractions, trolley and transportation rentals, or our famous carriage horses, please go to our Frequently Asked Questions page. What are the differences between the Big Bus and trolley tours? Double Deckers are the primary tour vehicles. Occasionally they are substituted with trolleys depending on the volume and weather. When do the Big Bus / Trolley Tours operate? Tours operate on a timed schedule depending on the season and the time of year. Please refer to the announcements on the home page for exact times. 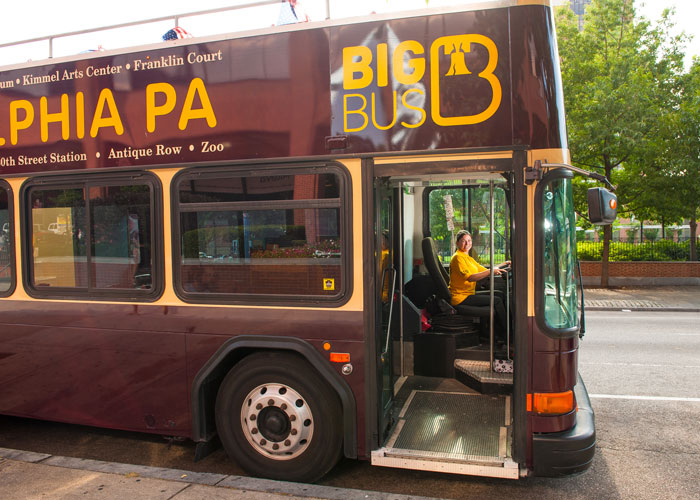 Where can I buy Trolley / Big Bus Tickets to tour Philadelphia? Tickets can be purchased at the following locations: On-line at our website, over the phone, on site at Stop 1 (5th and Market) and Stop 6 (12th and Filbert), our Sightseeing Kiosk on 6th and Chestnut, or at our Sightseeing Kiosk inside the Independence Visitor’s Center. How often do the tours depart from Stop # 1? For frequency please refer to the announcements on our home page. Do you pick-up guests at hotels? Our complimentary shuttle van will pick guests up at all Center City, Airport area, and City Line Avenue hotels. Please call our office at 215-389-TOUR (8687) to schedule a pick-up. There are several parking garages near the Independence Mall Area. They are located at 6th & Arch Street underneath the Visitor’s Center, 4th & Ranstead Street behind the Bourse Building and 11th & Filbert Street (Stop 6). Can I get off the Trolley / Bug Bus and reboard again? Yes. Your 1 Day, 2 Day, or 3 Day Pass gives you unlimited bus tours and hop on/hop off privileges for 1 full day, 2 full consecutive days, or 3 full consecutive days. Do I need a ticket to board and reboard? Yes, you must have a valid ticket to board our vehicles. Are pets allowed on board the tour? Yes – small dogs and service animals may board the tour. Where can I find a carriage tour? 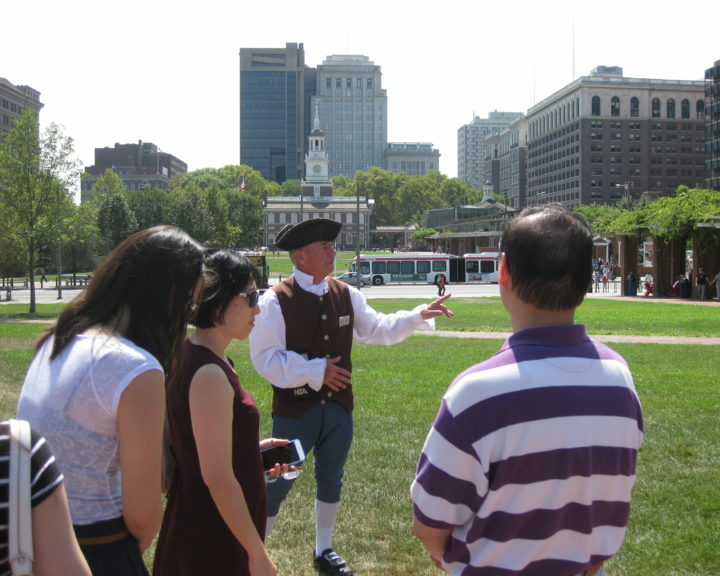 The main carriage stands are located at 5th & Chestnut Streets next to Independence Hall or at 6th & Market streets across from the Independence Visitors Center. How can I purchase a carriage tour ride? Carriage tours can be purchased on our website, at the Big Bus Stops 1 and 6 (5th & Market Streets and 12th & Filbert Streets), our Sightseeing Kiosk inside The Independence Visitors Center, our Sightseeing Kiosk at 6th and Chestnut Streets, or directly from a carriage driver. . When do the carriages operate? The carriages operate daily weather permitting. Carriages do not operate in temperatures above 91°F or below 26°F Wind Chill. Regular hours are Monday – Friday 9:30AM to 3:30 PM, and Saturday and Sunday 9:30AM to 6:30PM. 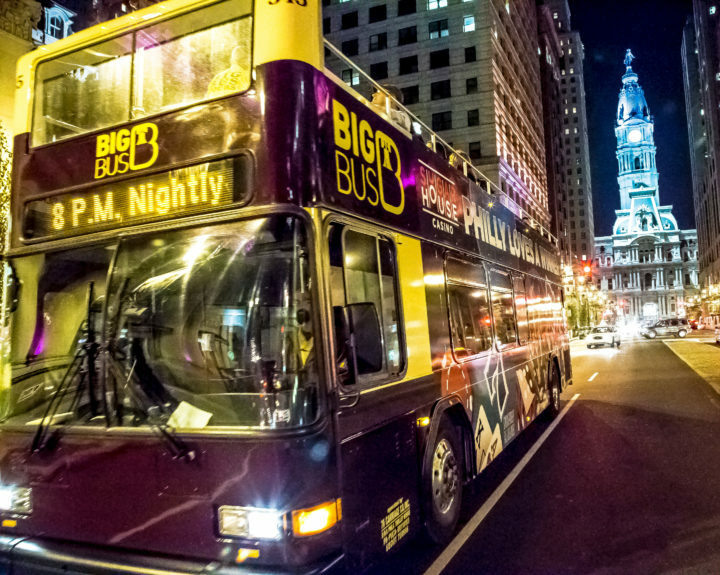 Night tours are available upon request. Please call 215-923-8516 for more information. Can I make a reservation for a special event? 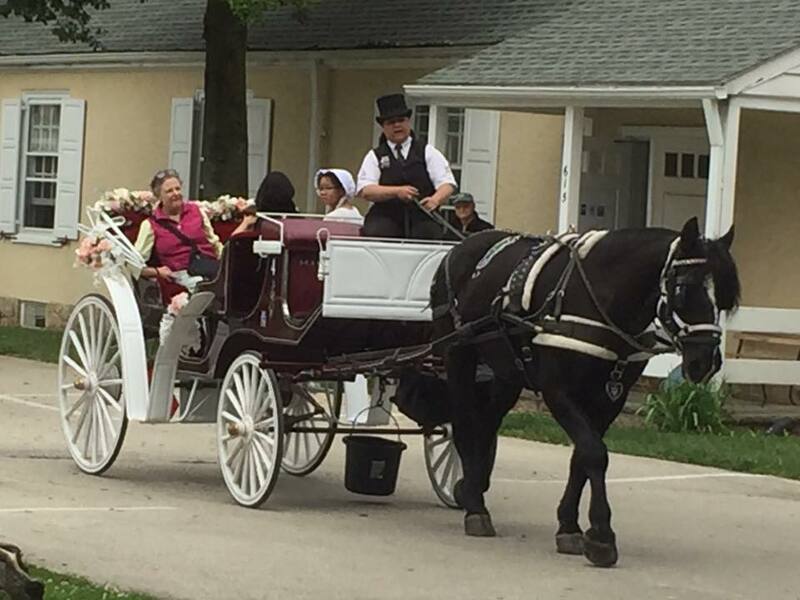 Yes, we recommend carriage reservations for weddings, proms, and other important events. All rides requiring a pick-up or drop-off at a location other than our carriage stand need a special event permit. Please give us 5-7 days advance notice for this type of service. 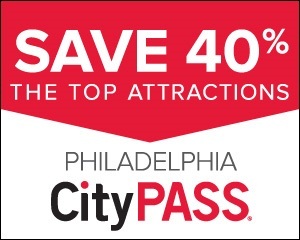 We also recommend reservations for our popular evening rides around some of Philadelphia’s favorite attractions. Please call us at 215-923-8516 or email us a request a quote form. What kind of horses are used to pull the carriages? 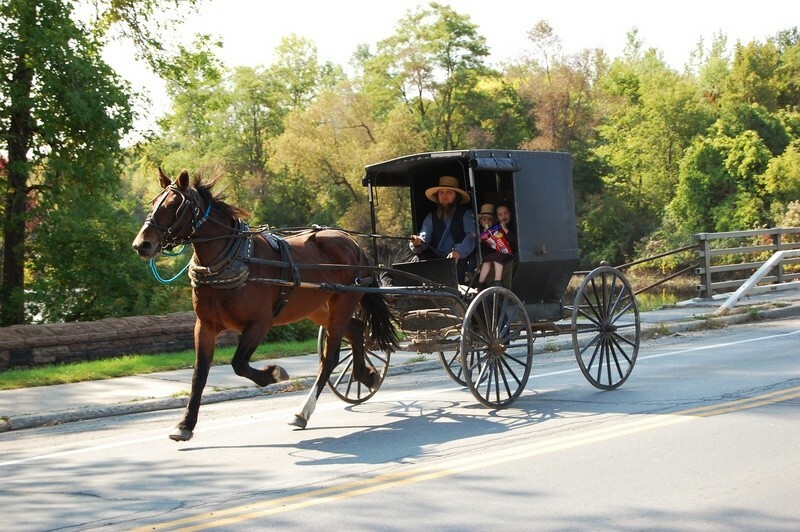 76 Carriage Company uses a variety of different breeds of horses for their carriage tours. The majority of our horses are draft horses or draft-cross horses. Our horses weigh an average of 1600 lbs with several weighing up to 2000 lbs. They are capable of easily pulling at least 3 times their body weight. During most of the year the horse live at stables located a few miles from Center City Philadelphia. They have large, spacious stalls and two different paddocks to run and play on their days off. Each horse gets a vacation at our Lancaster County farm for several months each year. Each horse has his own diet which includes plenty of hay and water. They also receive oats or horse chow, mineral supplements, and electrolytes, which is similar to Gatorade for horses. For treats they are fond of carrots and apples. What happens to the horses when they are done working? Once our carriage horses are retired and their job of guiding tourists around Philadelphia’s sights and attractions is done, most go on to live on farms to spend their old age having fun. Some have gone to be companion horses or to live at small local petting zoos. 76 Carriage Company supports Blue Star Equiculture a draft horse sanctuary and retirement farm in Palmer, MA. Blue Star is currently the retirement home for Bud, Mike and Tom former 76 Carriage Company horses. Yes, our horses receive extensive training to allow them to adjust to city traffic. They work only at a walk and receive excellent care. Each horse has its own carriage driver and they become a team working together. The horses enjoy being groomed and bathed and receiving treats from their drivers. Our administrative offices are located at 1350 Schuylkill Avenue, Philadelphia PA 19146. Please call ahead to schedule an appointment. What are your telephone office hours? Our offices are open 7 days per week from 8:00 am until 6:00 pm. Please send faxes to 215-389-1279. How far can the buses and trolleys travel? Our motor coaches can travel throughout the United States. The trolleys can travel throughout southeastern Pennsylvania, New Jersey, and Delaware. How do I reserve a trolley or motorcoach for a special event? Please call our offices to speak with one of our transportation experts. They may be reached at 215-389-8687. You may also complete a request a quote form online. 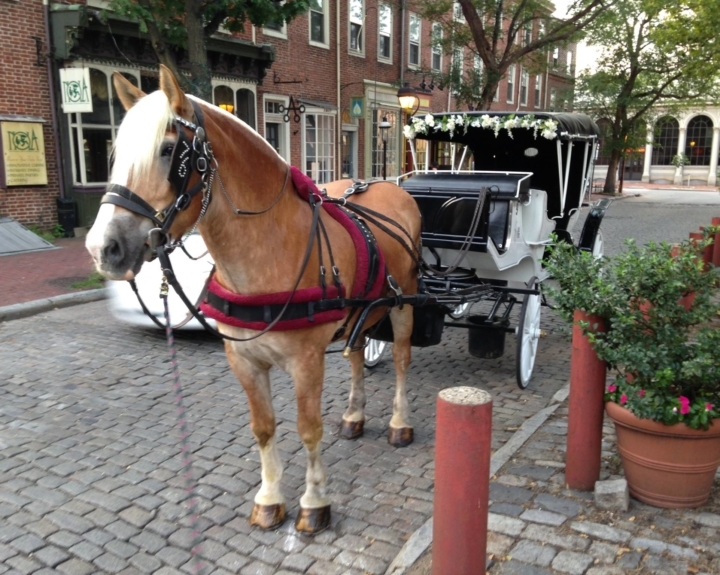 How do I reserve a horse drawn carriage for a special event? Please call our offices to speak with one of our equine experts. They may be reached at 215-923-8516. You may also complete a request a quote form and email it to us.